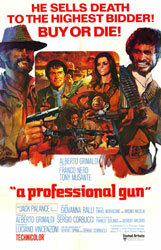 This 1968 spaghetti western film directed by Sergio Corbucci is about revolutions, idealism and money. Like in many of these films the Mexican Revolutions provides an ideal backdrop. There Sergei Kowalski (Franco Nero), a cynical Polish mercenary is trying to make some money offering arms and his services as a military professional. A quite entertaining film which isn’t pretentious and therefore probably more realistic than most mercenary films. This Western film directed by Sam Peckinpah the grand master of the genre is about a group of outlaws which escapes to Mexico a works there as a kind of mercenaries for a corrupt general. 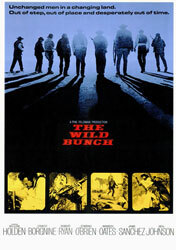 The Wild Bunch is considered as a film about the end of the outlaw gunfighter era. Modern times with modern weapons are appearing and the only thing left to the archaic adventurers and mercenaries is their last stand. The film was adapted from the Rudyard Kipling short story of the same title. 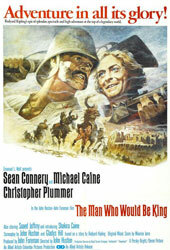 It was directed by John Huston and starred Sean Connery and Michael Caine as two British adventurers trying to build their own kingdom in Central Asia. Maybe that Kipling was influenced by the real biographies of Josiah Harlan or James Brooke but first of all it's a good account of all these men roaming the world in the 19th century looking for luck and fortune. The film is about Terry Thorne (Russell Crowe), an ex-Australian SASR soldier, who later served with the British SAS due to lack of action in Australia. Later he worked as an in kidnapping-and-ransom cases for a private security. So he is contracted by Alice Bowman (Meg Ryan) to rescue her husband who has been kidnapped in a fictional South American country which reminds a lot of Colombia. The film is especially intersting because he shows an important part of the security industry already years before it reached the headlines with th war in Iraq. 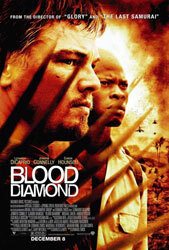 Set during the Sierra Leone Civil War in 1996-1999, the film shows a country torn apart by the struggle between government soldiers, rebel forces and mercenarie. Despite the realistic setting and political correct pretensions it's a trivial film, where mercenaries are the bad boys as usual, except the one who discovers his conscience. Executive Outcomes provides only the decoration, the rest is Van Damme & Co.